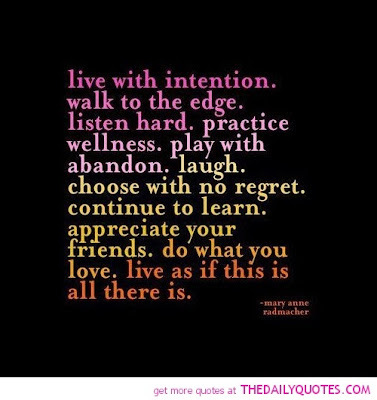 it's my girls' world: Being intentional in 2014. I'm not usually into making too many resolutions. I usually just make one or two at most so that I can stick to them. They're usually very definitive and descriptive so that I can hold myself accountable and stick to them easier. One year my resolution was to floss more ...seriously, and now I floss everyday! So this year when I heard of the link up with Little Baby Garvin and friends, I decided that this was a great way to put my one little resolution out there but more than that, to incorporate a change in 'being' to 2014--- confused yet? For the first question my answer is photography. Seriously, for the sake of my kids and this blog, I need to become a better photographer. I capture the moments yes, but I think that I can do way more. A great camera is in order, not a point and shoot but something a bit more. (My birthday is coming up, no jewelry this year, D!) A photography course (a small one for now) is also on the agenda as well as some more practise with my girls. I seriously still love my iPhone 5 pics though and they will not go away. Even though this blog has encouraged me to capture the tiny moments and silly stuff with my kids, for 2014, I will also be taking a photo everyday of the week and posting them all in one grouping. Thanks, Shay for the idea. As I said before, these days with my young kids are the most wonderful days of my life and I want to remember every single second of them.... even the whiny, tantrumy ones. So for the second question, I really was torn between many different words.... gratitude, appreciation, grace, grateful.. but if you read through this blog you'd find that you see some of these in my writing. I wanted a word to aspire to and this is the one I kept coming back to over and over again. Too often, I get bogged down by the many things I have to do. Like so many other mamas, I'm not just a mother, wife, daughter, relative and friend. I don't know about others but I am also a housekeeper, chef, travel agent, family therapist, chauffeur, stylist, dietician, photographer and event planner... and those are just a few of the hats I wear. I find myself pulled in many different directions, doing many things for many people often at the same time but not giving one thing my total attention. On a morning, I'm usually feeding two kids, combing hair, dressing 3 out of 4 of us, drinking my tea and packing lunch for D.... sometimes responding to a text or a phone call. I'm not concentrating on one single thing and things fall through the cracks. While I really can't stop multi tasking( this house might fall apart, especially on a morning), what I can do is begin to focus more on each activity. This now leads into the third question. I will begin to focus on , appreciate and enjoy each member of my family more. There will be more listening and more learning. Maybe this will involve unplugging more, more quiet time (less background noise). I hope that this will also translate into changes for me as well... I want to be intentional with things I buy so that we don't have a lot of clutter around. I will also be intentional in how I am organising this house so that it is easier to manouvre through. I will also be more intentional in what I put into my body and my mouth (seriously, sugar detox from the 6th). 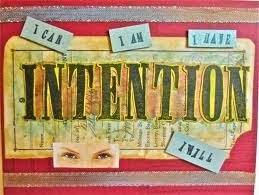 There will also be more intention in my spiritual life as well.